The following editorial was written by one of Myra’s clients, Insurance Consumer Affairs Exchange (ICAE), following Myra’s Verbal Aikido Training at their annual conference in Newport Beach. Myra Golden (Customer Experience Designer) states that customers are more savvy now than ever before. Myra Golden, Customer Experience Designer, author of Beyond Wow, and a noted expert on customer service, shared with the group her insights and techniques on the concept and delivery of outstanding customer services. Ms. Golden opened by noting customers are more savvy now than ever before. Although this sounds like a good thing, the net result is an increase in stress for consumer services professionals. How much of an increase? Well, according to Newsweek magazine, the stress level of consumer services professionals is comparable to that of air-traffic controllers and police officers. In short, the role of consumer services now ranks as one of the 10 most stressful jobs in the U.S.
Golden shared stories and a new vocabulary* with the group. Sometimes, she noted, difficult customers can be categorized as the consumer vigilante. These consumers are determined to force corporations—via the consumer affairs professional—to give in to the consumer vigilante’s demands—reasonable or not. This means the consumer affairs professional must develop a response plan. OK, what is the solution? Have a consumer recovery plan ready to create confident, assertive (not aggressive) responses to address the consumer vigilante. Consumer affairs professionals are not expected to know everything. Even stating uncertainty for the next step is an OK response. This response shows the professional as one who does not make assumptions and who treats the consumer as an individual. By allowing the consumer to be treated as an individual, with individual emotions and feelings, consumer professionals can work with the consumer without escalating any negative—and avoiding lock up. Comments such as, “I want to get to the bottom of this as much as you do,” have been known to unlock doors and save consumer relationships. Active listening with a complaining consumer enables consumer professionals to obtain more and necessary information to help structure a lasting solution. Consumer professionals are encouraged to control the pacing of the conversation by asking questions and learning more—about the situation and the consumer. 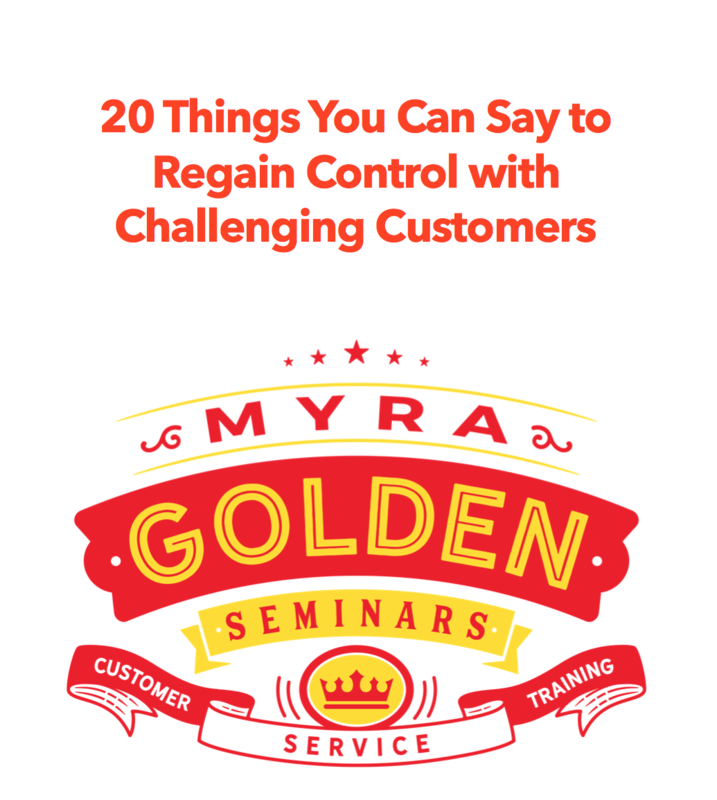 However, Golden cautioned, take the cue from the customer—a bottom-line customer just wants answers—therefore asking lots of questions may result in a negative encounter. Once control has been established, it’s the consumer professional’s responsibility to move the customer to closure—meaning the emotion has been reduced and the rational has been re-instated. Golden expresses how asking three back-to-back, close-ended questions can help diffuse a situation. • The first thing I need from you is…. • In case we are disconnected, what is your number? • What is your claim number? • Can you give me the exact date of occurrence? Associating the irate customer with someone you know to help establish your empathy. Providing job shadowing opportunities to see the other side of the fence to help understand issues—so have producers work with consumer affairs professionals or invite a regulator in for a real-time visit. Finally, all participants were encouraged to identify activities to commit to start doing, stop doing, and will continue to do. Golden noted this written commitment with all aspects of our lives would help empower change for the better—at work, home or play. For more information regarding the Insurance Consumer Affairs Exchange (ICAE), including membership, please visit their website. Review the full workshop outline for Myra’s Verbal Aikido Training here or talk to Myra about bringing her Verbal Aikido training to your company or conference.